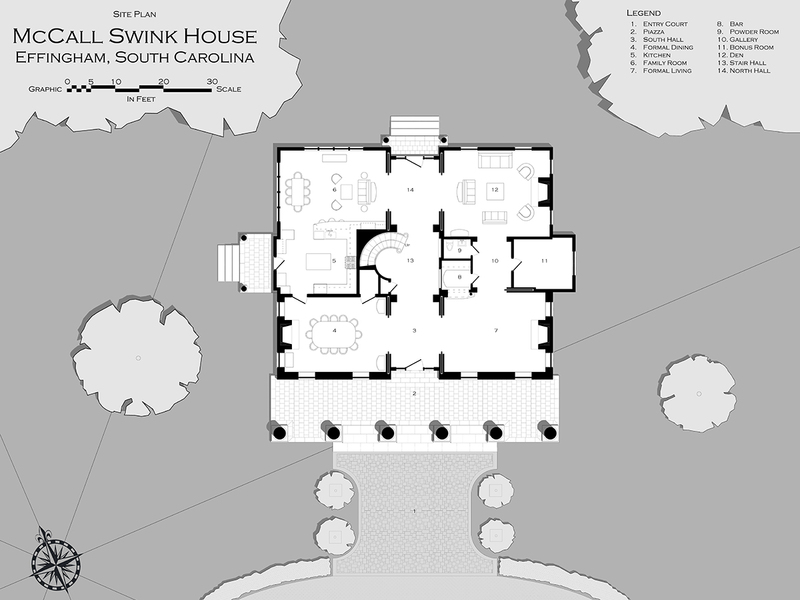 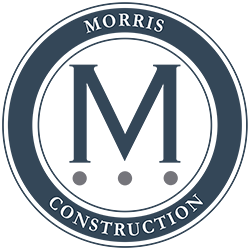 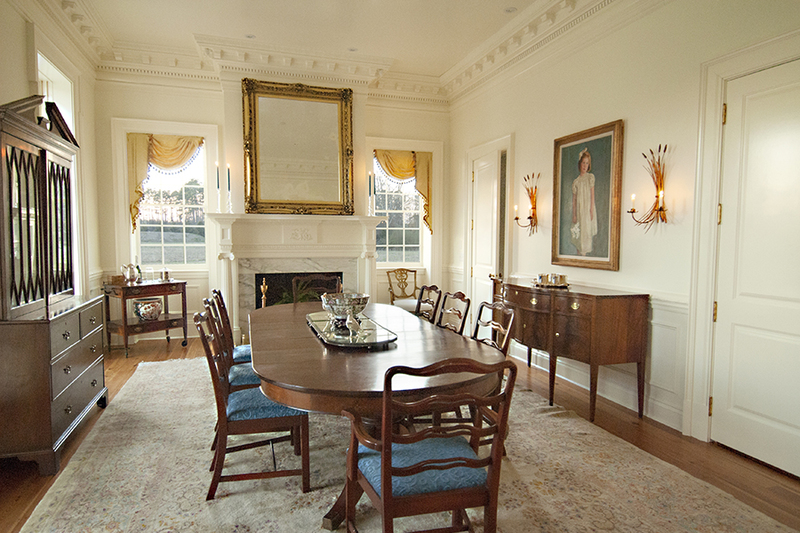 The Swink Residence was designed and built by Charleston Custom Home Builder, Buz Morris. 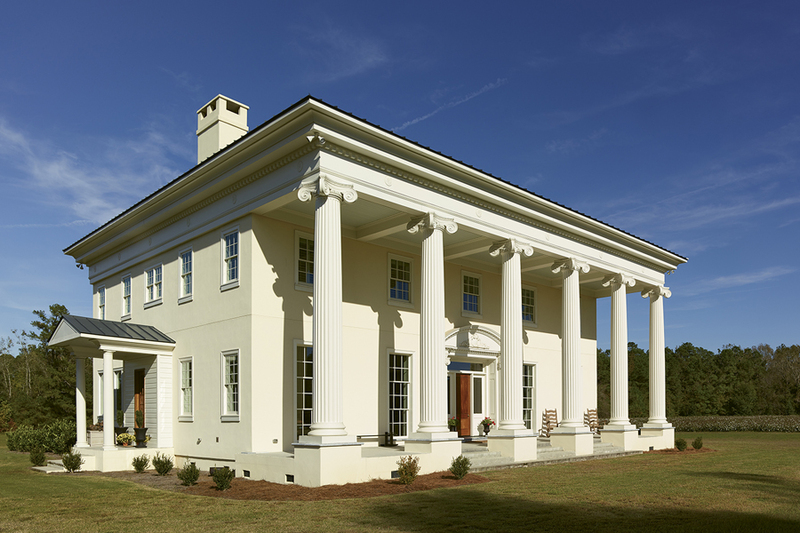 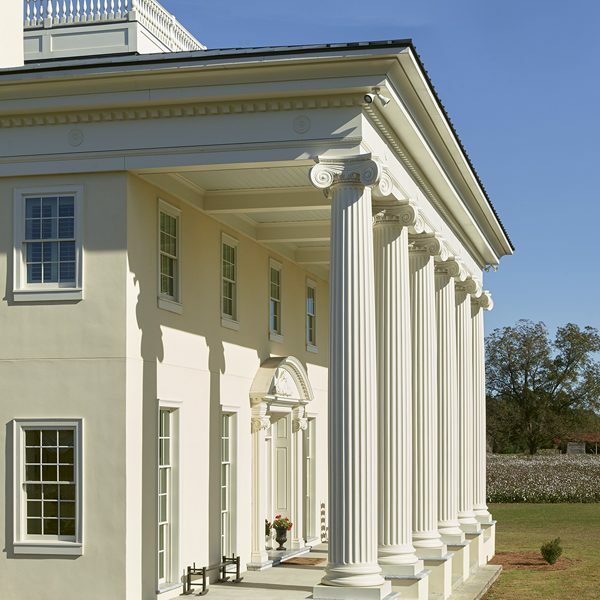 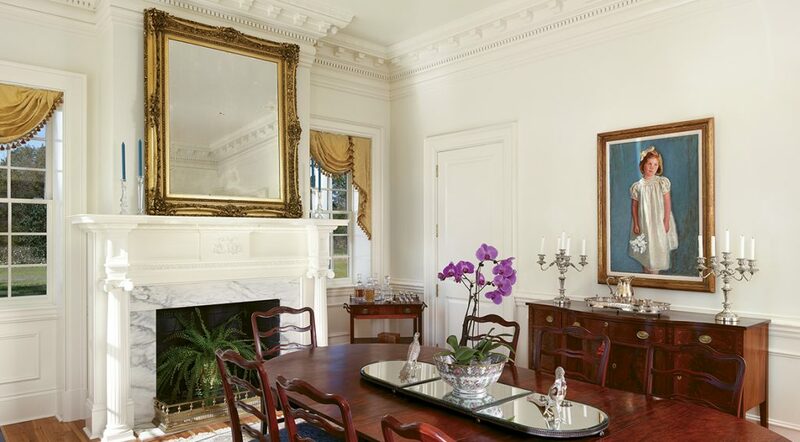 Located on family property in Effingham, SC the home was designed using the Millford Plantation house as a precedence. 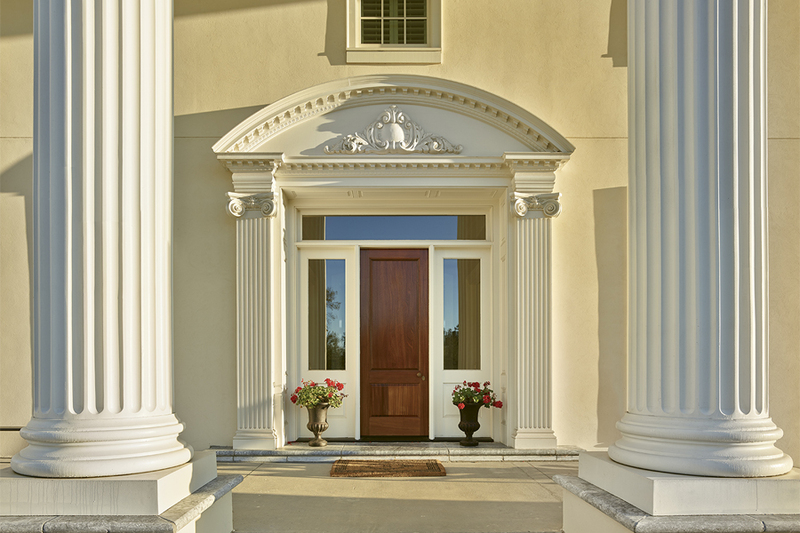 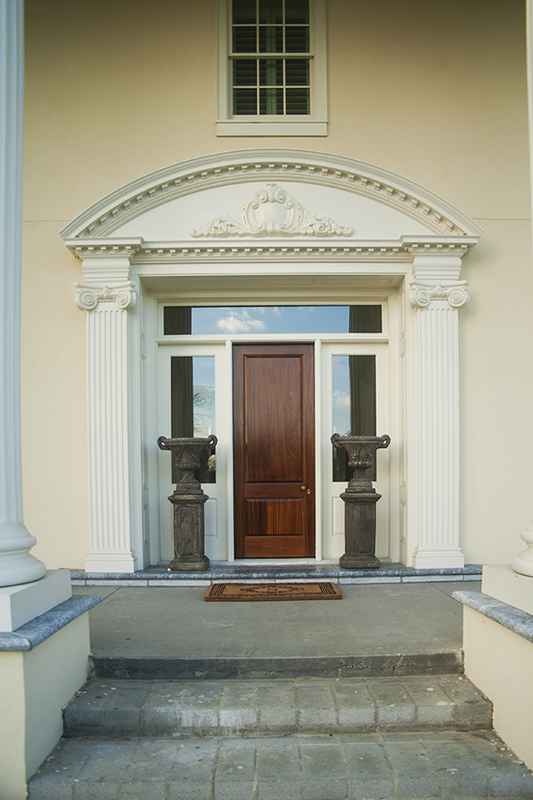 The exterior is carefully proportioned by classical standards throughout. 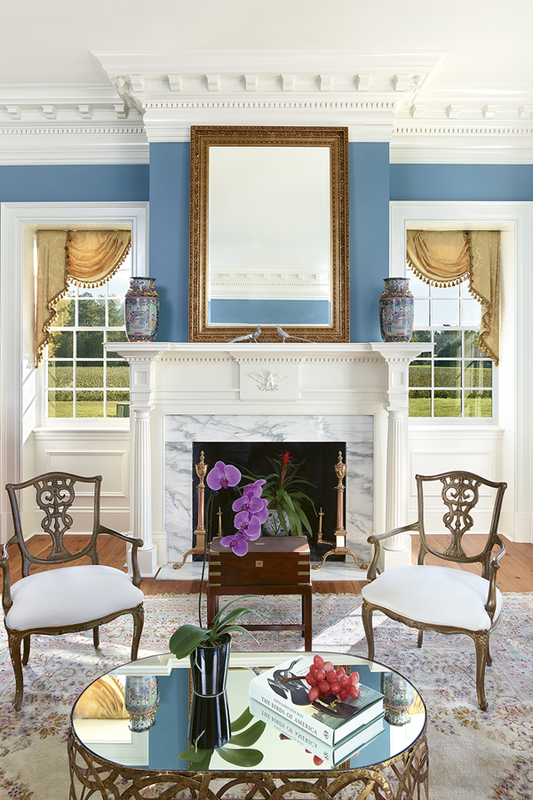 The front of the home has a grand piazza with columns, and triple-hung windows, which are made to be opened to walk through and provide improved circulation to the house. 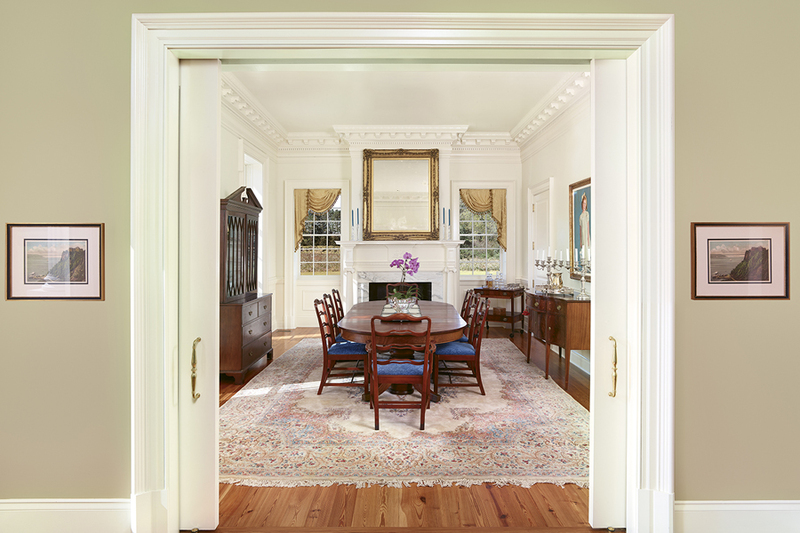 The tripartite hall in the center of the home has a front, middle and back. 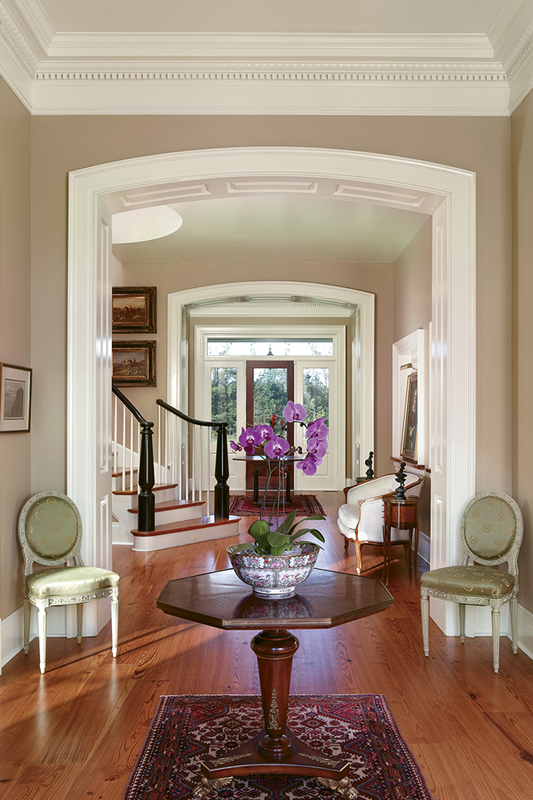 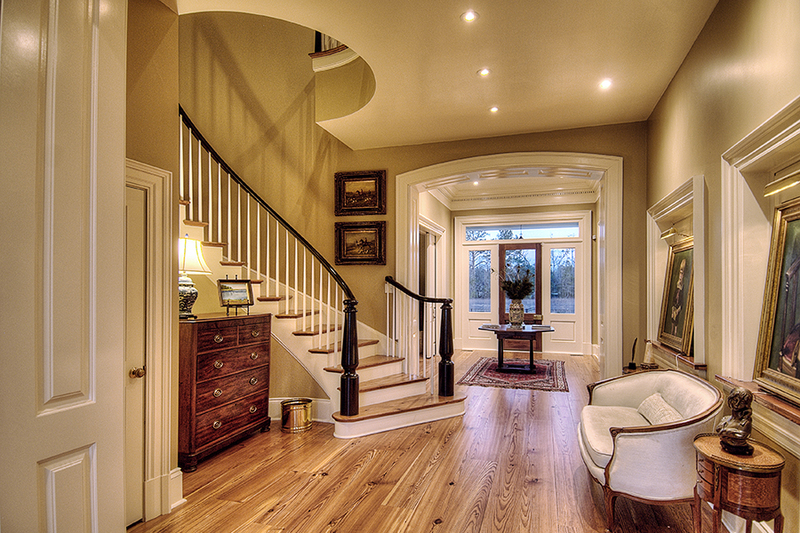 The middle has a circular staircase that enters the space gracefully. 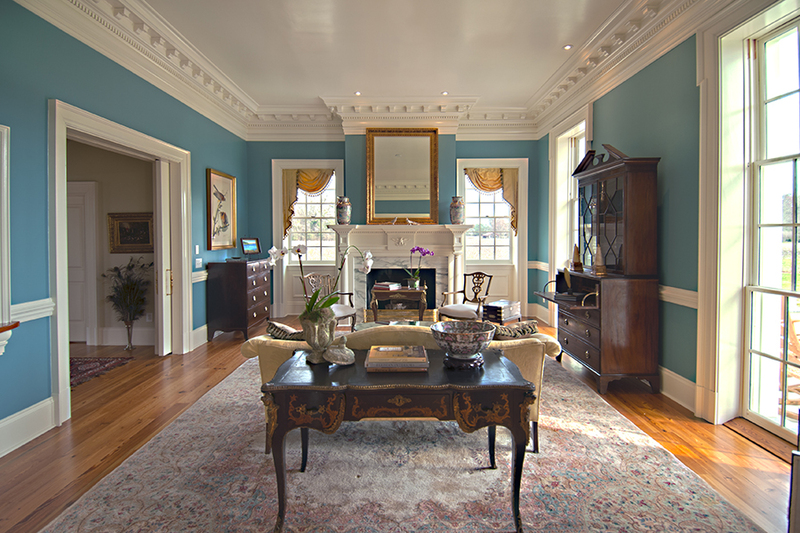 The ground floor has grand 12-foot ceilings and the top floor has 10-foot ceilings. 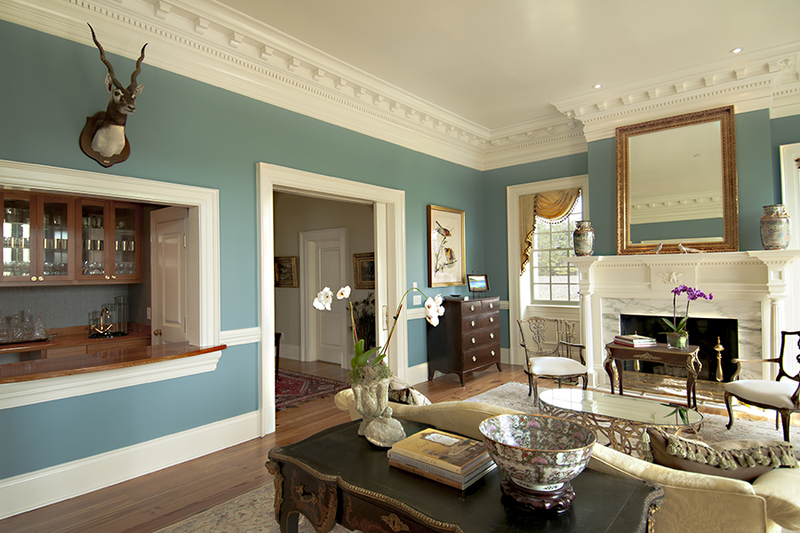 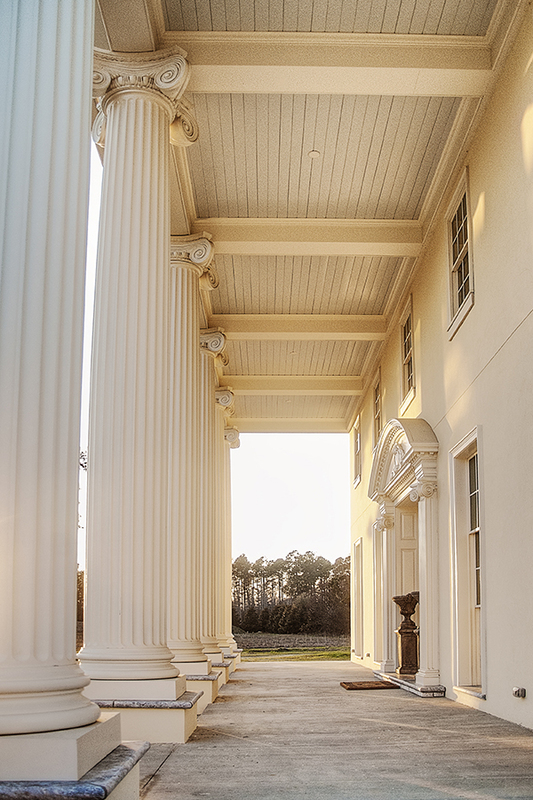 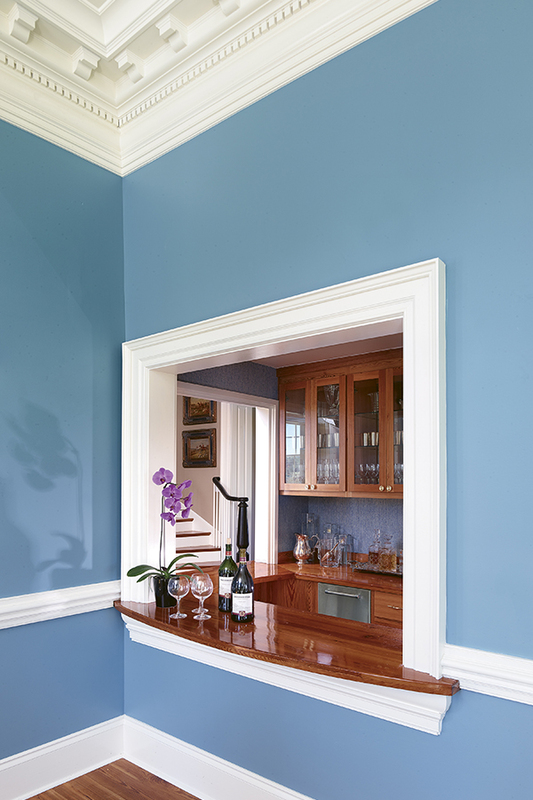 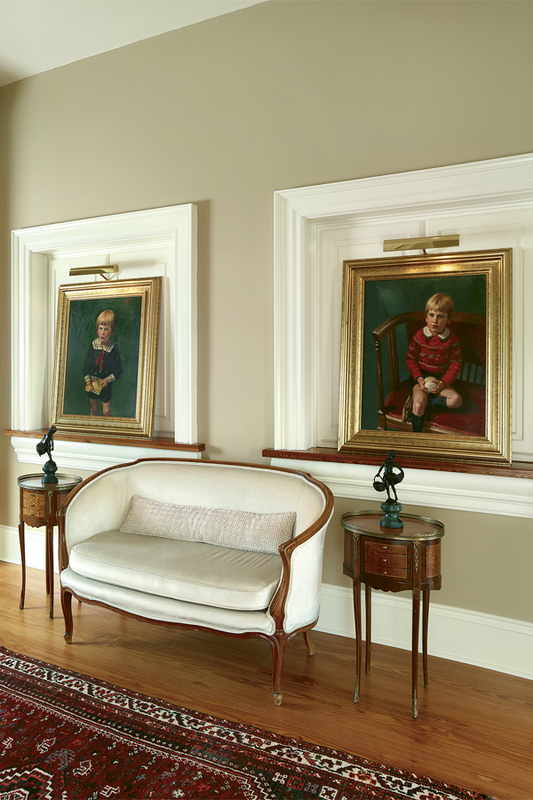 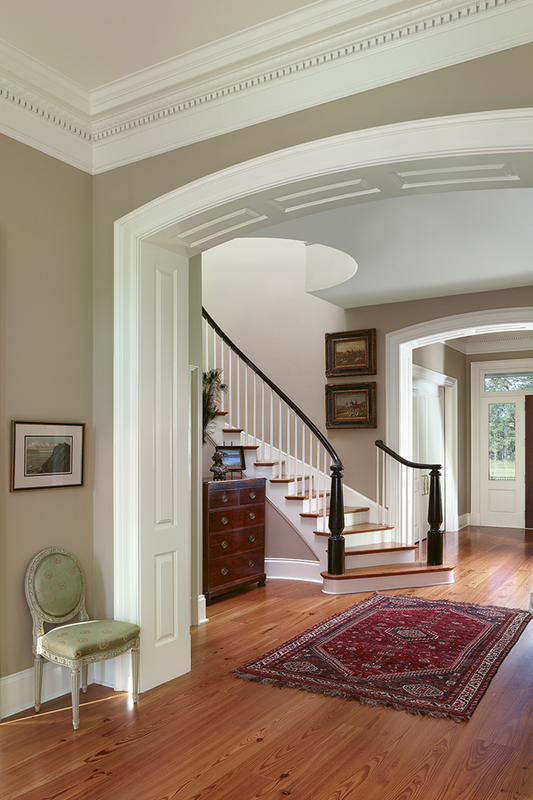 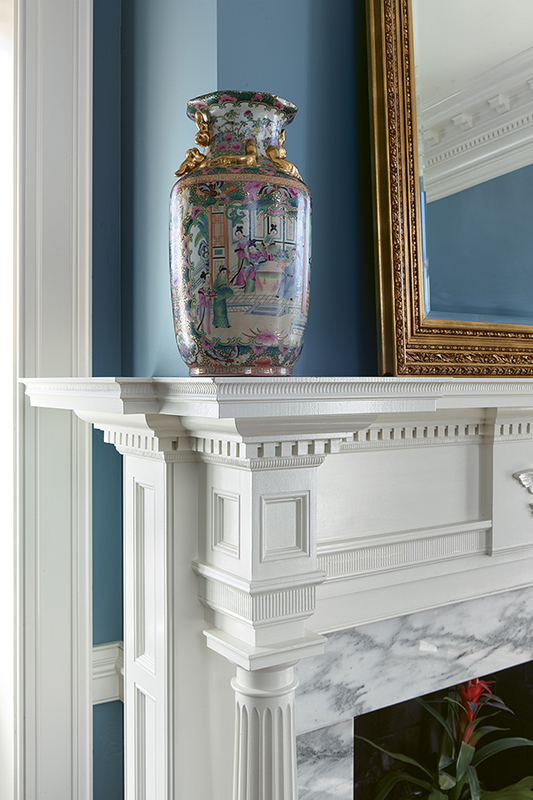 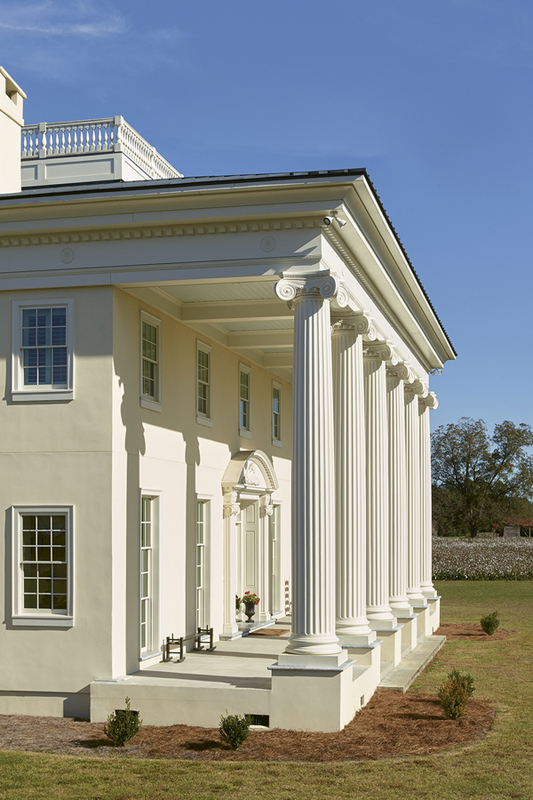 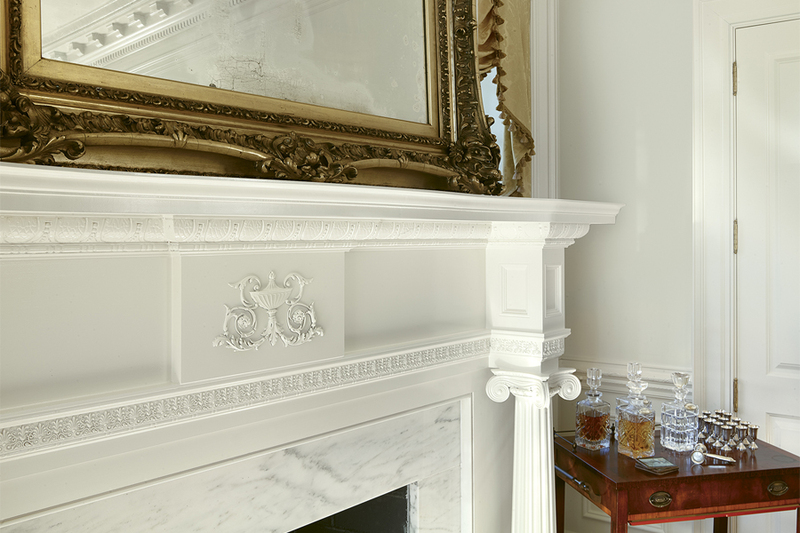 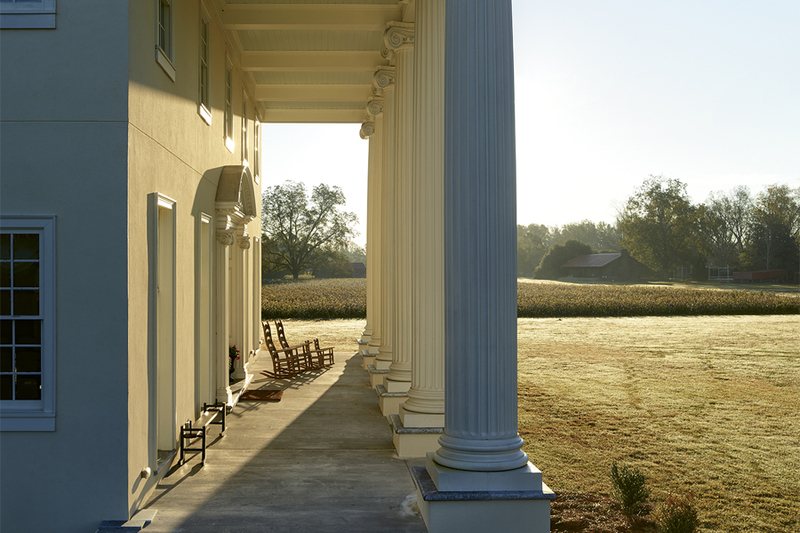 The mouldings in the home were milled to Buz’s design specifications by the craftsmen at DriWood, right around the corner from Effingham, in Florence, SC.